Specialised Air Motors & Transmission (TONSON AUSTRALIA) has introduced a new line of locking hubs to their extensive range of power transmission products and bearings. The new locking assemblies provide reliable, high strength keyless connections for shaft driven devices. When the locking unit’s bolts are tightened, plates engage with both the shaft and the inside circumference of the driven component with the locking assembly distributing the applied pressure evenly. No keyways or grubscrews are required with this device. 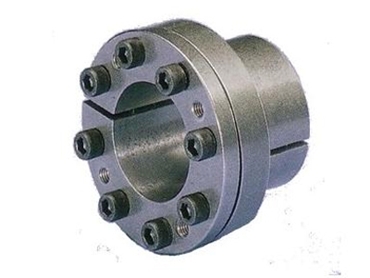 Shaft fixings offered include taper bushes, weld on hub, QD bush, ETP bush, bolt on hubs and shaft collars. Key features of the locking assemblies include keyless operation, increased shaft strength, simple installation/disassembly, immunity to alternating torques, and zero backlash with erasure of fretting corrosion. TONSON Australia (SAMT) also offers other brands of locking hub assemblies including Mav and connex, which can be interchanged with all brands to ensure quick delivery times. TONSON Australia (SAMT) is a specialist manufacturer, importer and supplier of power transmission products.